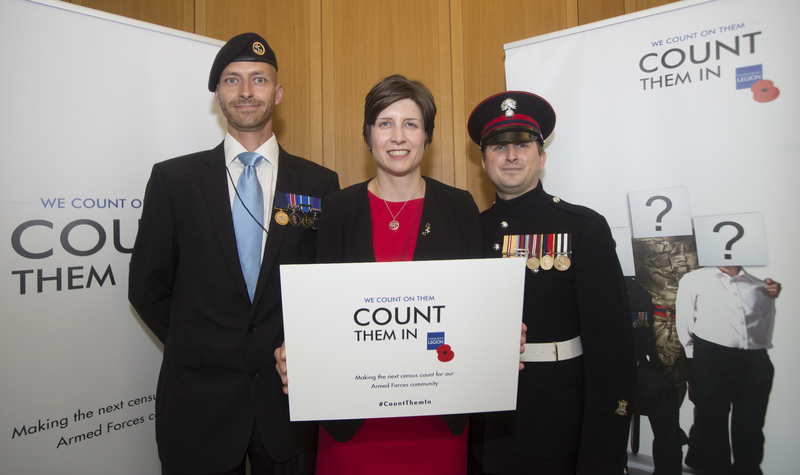 Alison Thewliss MP has declared her support for The Royal British Legion and Poppyscotland’s Count Them In campaign, which calls for questions on the Armed Forces community to be included in the next UK Census. It is estimated that there are currently between 6.5 million and 6.7 million members of the Armed Forces community living in the UK, representing about a tenth of the population. However, little is currently known about the exact numbers, location and needs of this significant group. Including new questions on the next census would provide public bodies, local authorities, and charities with valuable information to ensure they are able to deliver the best services they can for our Armed Forces community. Ms Thewliss met with representatives of The Royal British Legion, veterans and Service personnel to discuss the campaign in Parliament on Monday 13 June. Ms Thewliss said of the meeting: “It was a pleasure to meet with members of the Armed Forces community who, along with their families, make huge sacrifices in the service of our country. I also enjoyed meeting with staff from The Royal British Legion and hearing more about their Count Them In campaign.